UK-based self-adhesive label manufacturer Hine Labels has purchased a Screen Truepress Jet L350UV+LM label press in a bid to ‘future-proof’ its business. 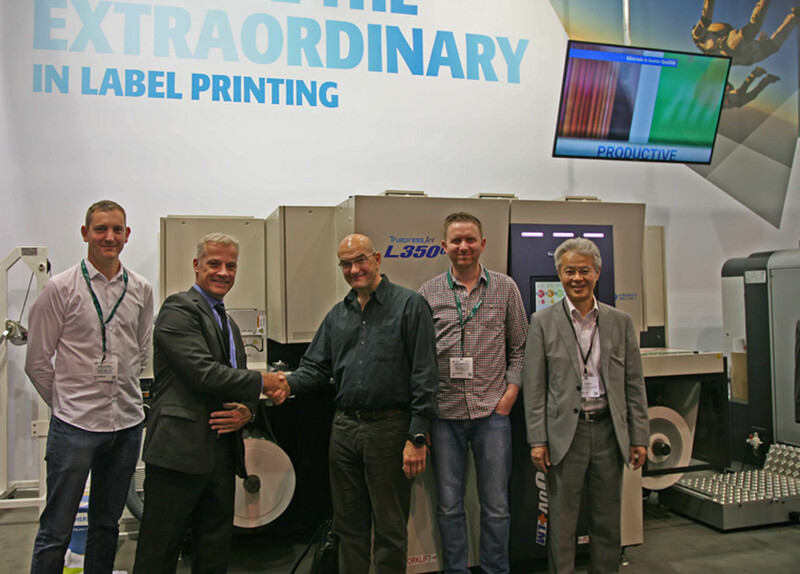 The deal to purchase Low Migration L350UV+LM press was signed by Hine Labels Labelexpo. Screen Europe said that the model is the second sale of the low migration L350UV+LM press in the UK. The investment in the second Screen UV inkjet press a part of the Hine Labels’ plan to stay a step ahead of the competition and serve the growing labels demand. With a print speed of up to 60 meters per minute, the new Screen Truepress Jet L350UV+LM features Screen inkjet printhead technology which ensures enhanced quality even at the highest speeds, Screen Europe said. When integrated with a chill roller, the press expands the versatility and flexibility of material types that can be supported, including thin and heat sensitive film. Foe Hine Labels, the press has also been equipped with Screen Equios Universal Workflow to maximize the performance of cutting-edge UV inkjet technology. The new press will complement the existing Screen Truepress Jet L350UV inkjet label press which was purchased by Hine Labels in 2015. Hine Labels also operates Xeikon 3000 digital press and flexographic machines. Image: Officials from Screen and Hine Labels. Photo: courtesy of Screen Graphics and Precision Solutions.